X Review: OurWar German Commander | The Fighting 1:18th! 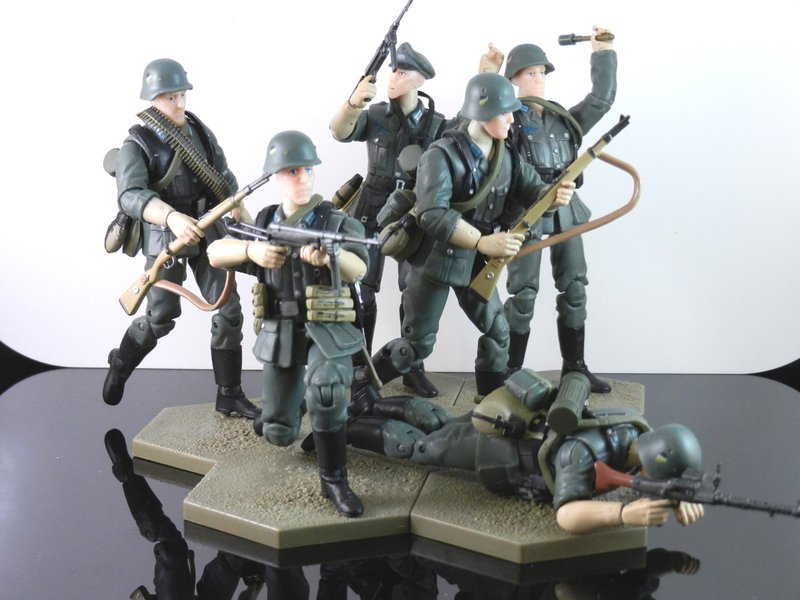 Thanks to Angelo Cheng from HiyaToys, the Fighting 1:18th has some review samples of the OurWar Germans, and I’ve spent a few days looking them over and taking note of every detail or lack thereof so that you all can be better informed. Those of you that didn’t get a box before me, that is! At first glance, I was pretty impressed. Not that they’re “The Best Ever(tm)”, but HiyaToys really put forth the effort to provide some quality figures. Enough of my babbling, let’s kick this off with the Wehrmacht Commander. Plenty more to see, so click here for more!